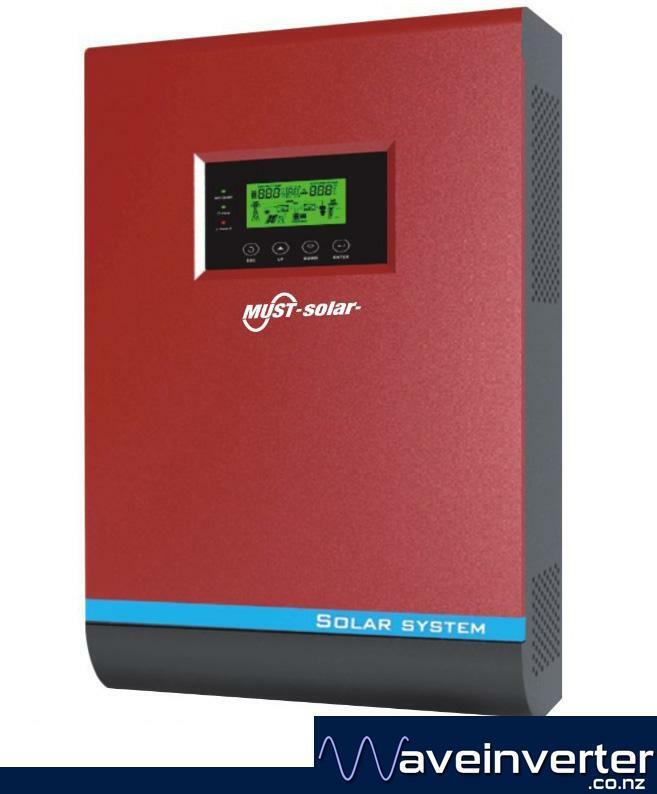 I would like to introduce you to the latest MUSTPOWER PV18, achieving power factor 1.0, a 25% increase in power over the previous 5kva model and a larger solar charger 80A, 33% larger. 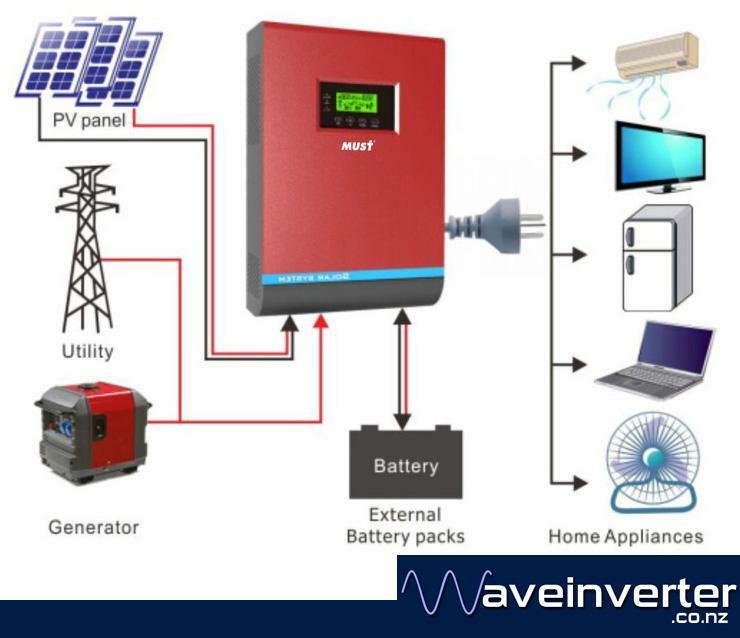 The PV18 combines the functions of Inverter, AC Charger, Solar Charger and UPS into one extremely efficient unit. Unmatched no load power consumption of 2 watts! 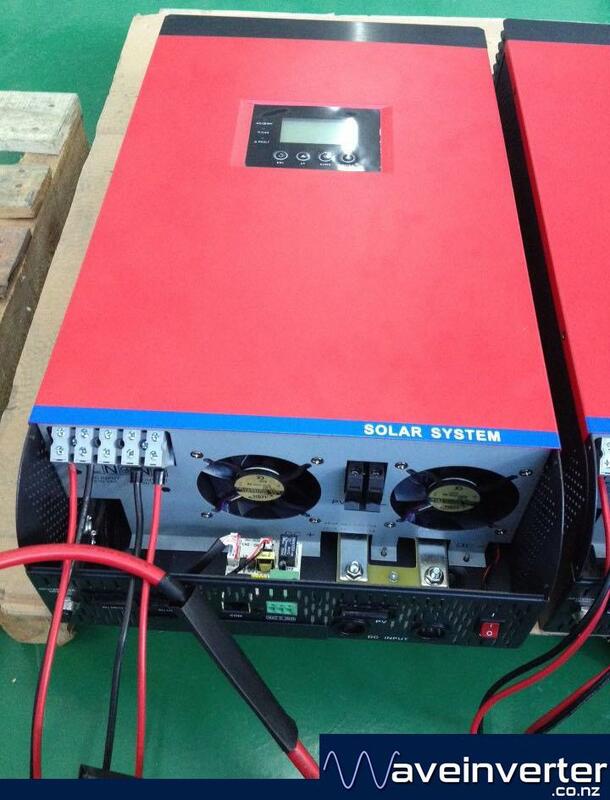 Combine both the Solar Charger and AC charger to charge your batteries at up to 140A (48v). It is compliant to the new New Zealand standards IEC 62109-1 and 62109-2. – Switch over to AC supply based upon battery voltage level and upon overload.